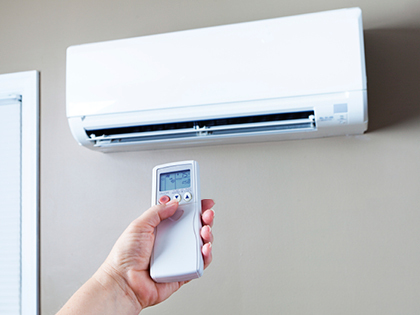 Are you considering a ductless heating and cooling system for your home? A ductless system uses heat pump technology to push out cold or warm air into your home or living space more efficiently and quietly than the traditional electric furnaces and wall heaters. Ductless heating and cooling systems are becoming more and more popular among homeowners. 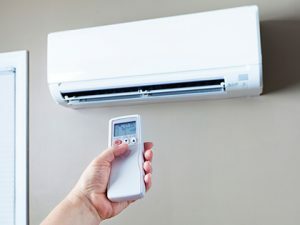 A ductless heat pump or air conditioner typically consists of a wall-mounted indoor unit combined with an outside compressor. Unlike window units, ductless units require only a subtle hole to be drilled into the wall, making them less vulnerable to air leakage and security problems. Ductless systems are extremely efficient. Ductless models have inverter-driven compressors that speed up and slow down based on the needs of the system. Ductless units do cost more than comparable window units. If you do replace an existing heating and cooling system with a ductless system, you’ll pay more to have it replaced. However, you will receive much lower energy bills in return so you can save money in the long run. Maintaining the system requires washing the unit’s filter monthly. It is important not to skip it because ductless fans can’t handle accumulating debris. We hope the factors help while you’re making your decision. Click here for additional information about ductless heating and cooling systems. If you want recommendations on ductless units, call Breedlove Dobbs today.